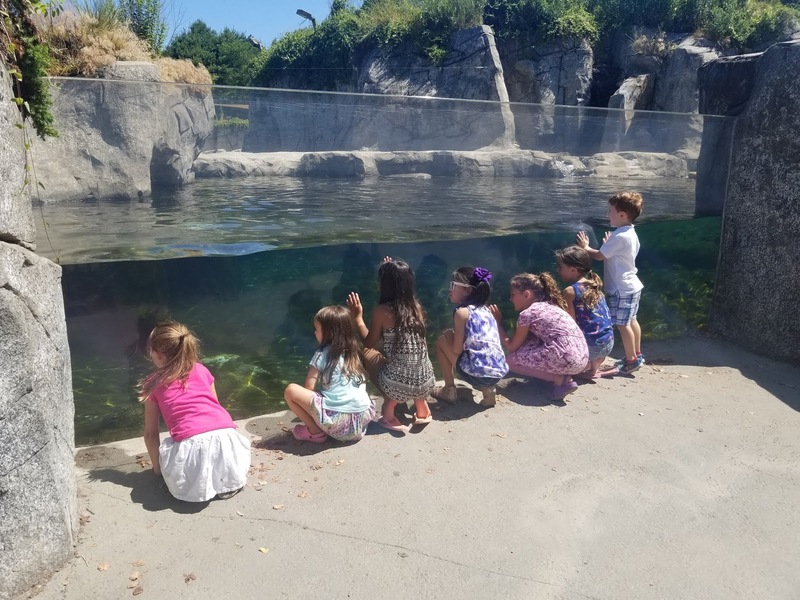 We've been (quickly) checking off things on our summer fun list and visiting an aquarium was one the kids were very excited for! 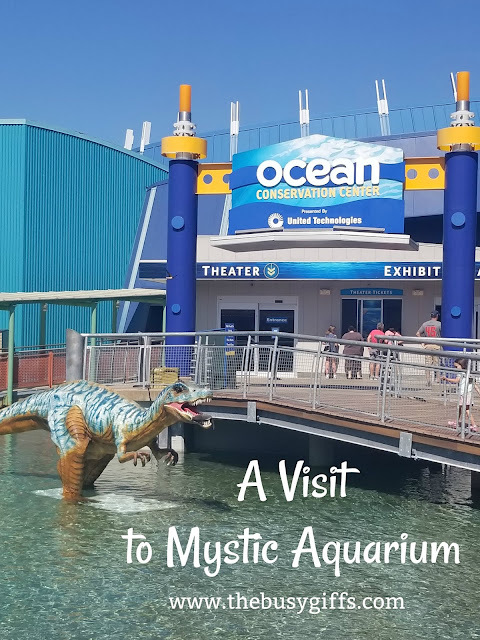 In between Sweet Suite in NYC and National Dance Competition in Mystic CT, we were able to squeeze in a trip to the Mystic Aquarium. 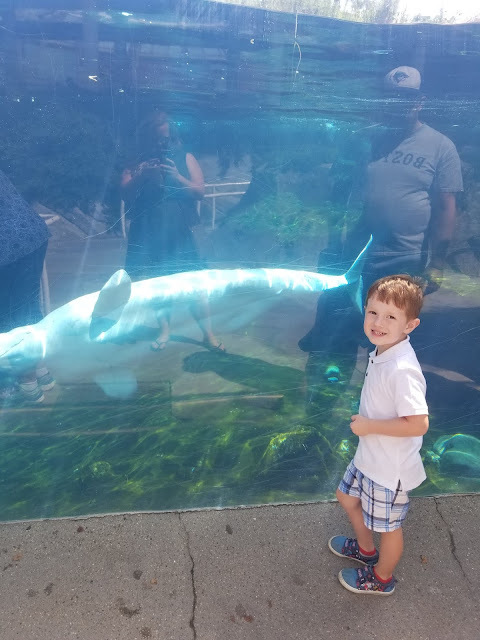 We loved seeing some of our favorite exhibits like the penguins and the touch tanks, but Tyler especially loved the dinosaur exhibit that is there currently! He's been hyperobsessed with Jurassic Park and the dinosaur exhibit was a nice surprise! While the price can be off-putting for most people (it's a bit steep), we were able to set up a group (min. of 10 people) and get a great discounted price. If you've got a group who want to go together, it's a great way to save some money! 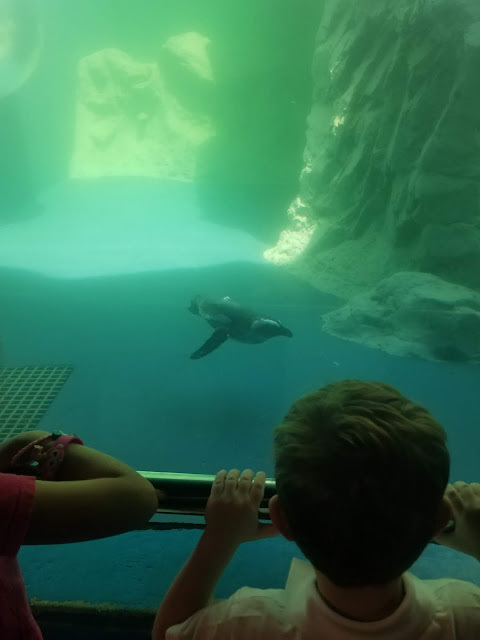 We love this aquarium; have you visited? July has been the absolute busiest month, basically ever. 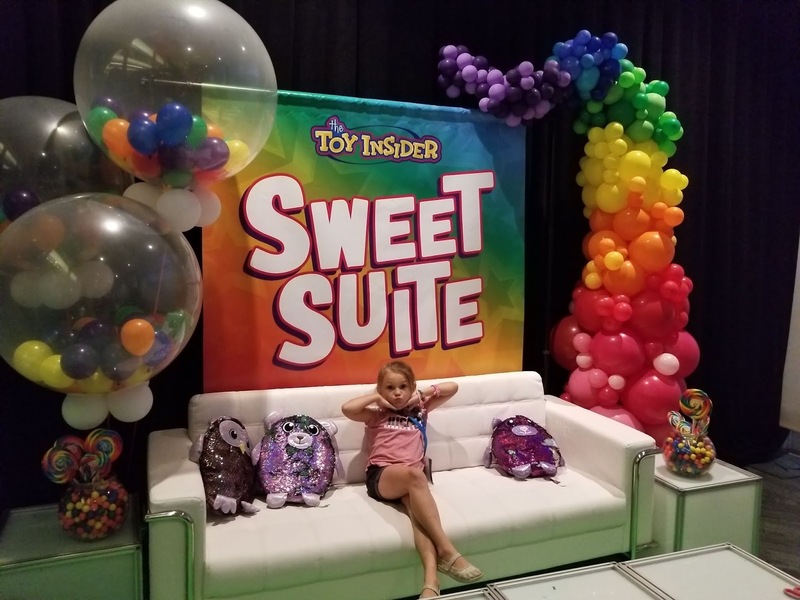 We had cookouts, birthday parties, cookouts, beach days, sleep overs, we saw a play, and so much dance including the national competition, but in the middle of all of it, Emmalee and I found ourselves in NYC for #SweetSuite18. Sweet Suite has been one of my favorite events for the past few years. 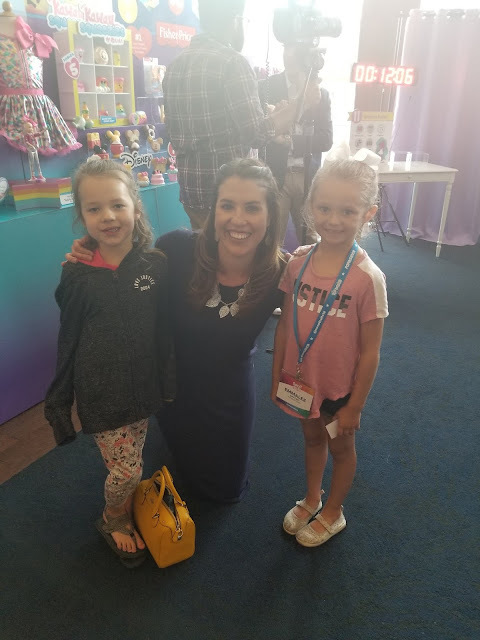 It's one of the most amazing blogging things I do. The Toy Insider gathers the most exciting toys for the holiday season and brings in brand reps and it's literally the biggest night of play that there is. I have always gone solo so I was thrilled this year to learn that Emma could come with me. 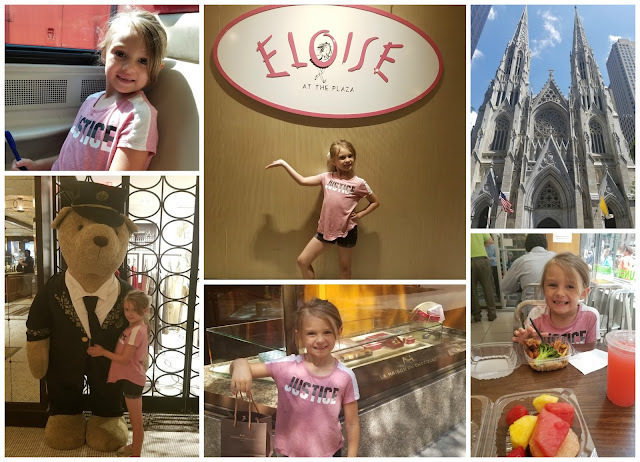 We took the train in from Connecticut and spent some time walking up 5th Ave- a visit to the Eloise store and some macarons were the perfect start! We made our way to Central Park as well. I've always wanted to spend a whole day inside but that will have to wait for a bit still. We did see some gorgeous skylines and even found a carnival! We were most excited to find the carousel! For all the years I've been in Central Park, I have never found the carousel so we were very excited to do it for the first time! We had a great morning and the best part of the day hadn't even happened yet! We grabbed a cab and headed to Chelsea Piers for the biggest night of play! One of the biggest highlights of Emma's night was meeting the family behind Sandaroo, her absolute favorite youtube family. It was honestly adorable and she lit up over it all. 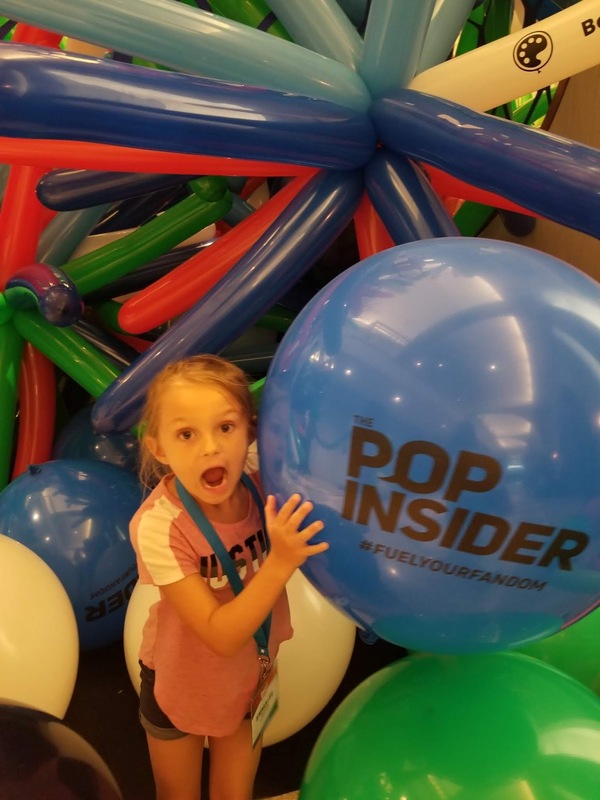 We were so excited to check out the newly created Pop Insider hangout and the amazing balloon maze to get into the venue! 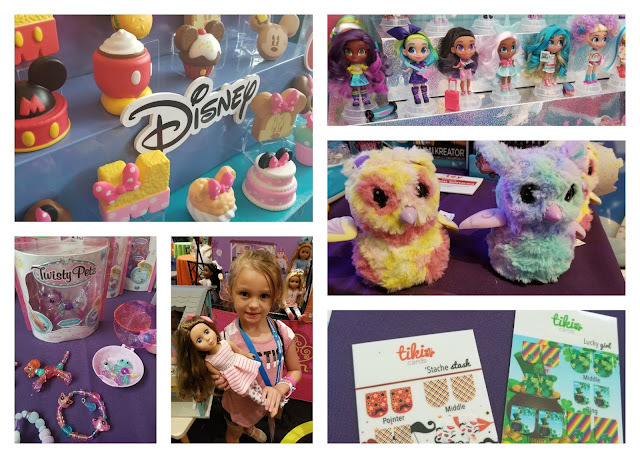 Trying to decide what was our favorite, just isn't possible so we put together a collage of our favorites from the night! There were so many amazing toys and we'll be making another list of Emma's favorites for this holiday season to share soon! 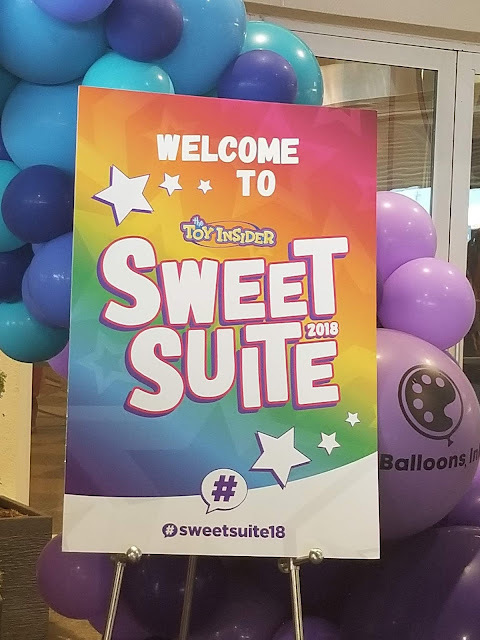 This cool toy was provided in our swag box from #SweetSuite18 however all thoughts and opinions are our own! 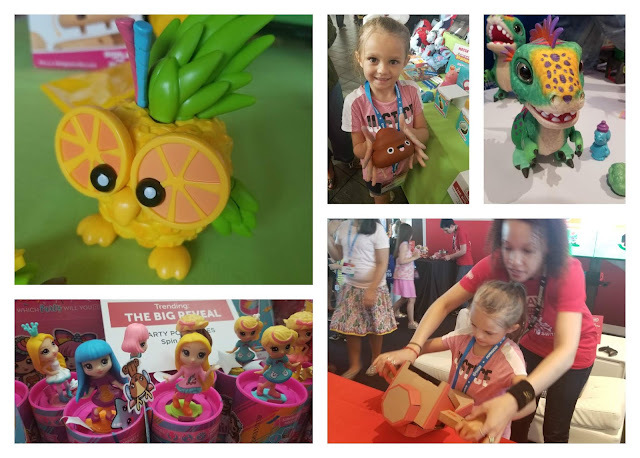 One of the cool new toys we saw at Suite Sweet is called Beaker Creatures! STEM learning and mini science centers are always a hit with the kids and these Beaker Creatures are the perfect "bath bombesque" toy! Emma and Tyler really wanted to make a video so check it out below! Beaker Creatures can be found at Learning Express, specialty stores, and Amazon (aff link here). Be sure to let me know what you think of them! 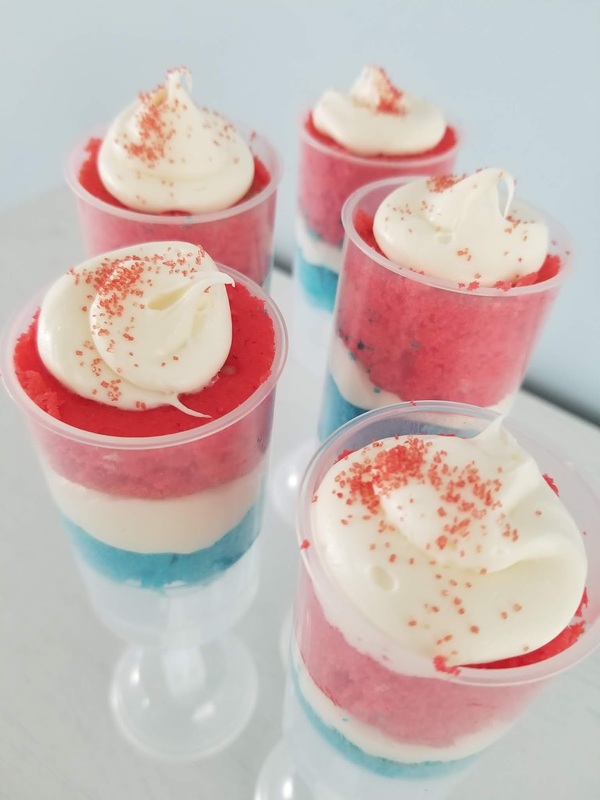 With all the patriotic holidays happening in the summer, we came up with this super easy dessert that seriously wows a crowd! 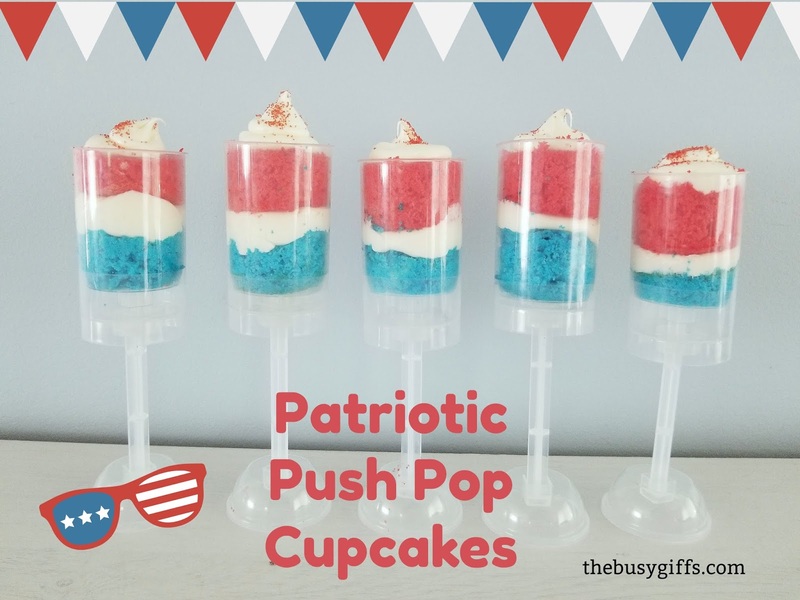 We had a box of these push pop containers in our basement-- I had planed on using them for a birthday party and never did-- so we decided they would be perfect! A boxed white cake mixs, split in half and colored with food coloring gave us the red and blue cakes. I used a 13x9 pan and parchment paper (longer than it needed to be and fold in the middle to create a divider) and baked according to the box directions. After letting it cool, we used a small round cookie cutter to cut out perfect circles of cake. Blue cake on the bottom, some vanilla frosting, and red cake on top! An extra dollop of frosting and some festive sprinkles really finished it off! The possibilities are really endless when you start thinking about cake colors and sprinkle combinations! I really love these mini sized push pops too! I'll be making these for every holiday going forward... orange frosting with chocolate cake for Halloween, vanilla cake with gold or maroon chipped frosting for the fall, and red and green for Christmas! What holiday would you make these for? 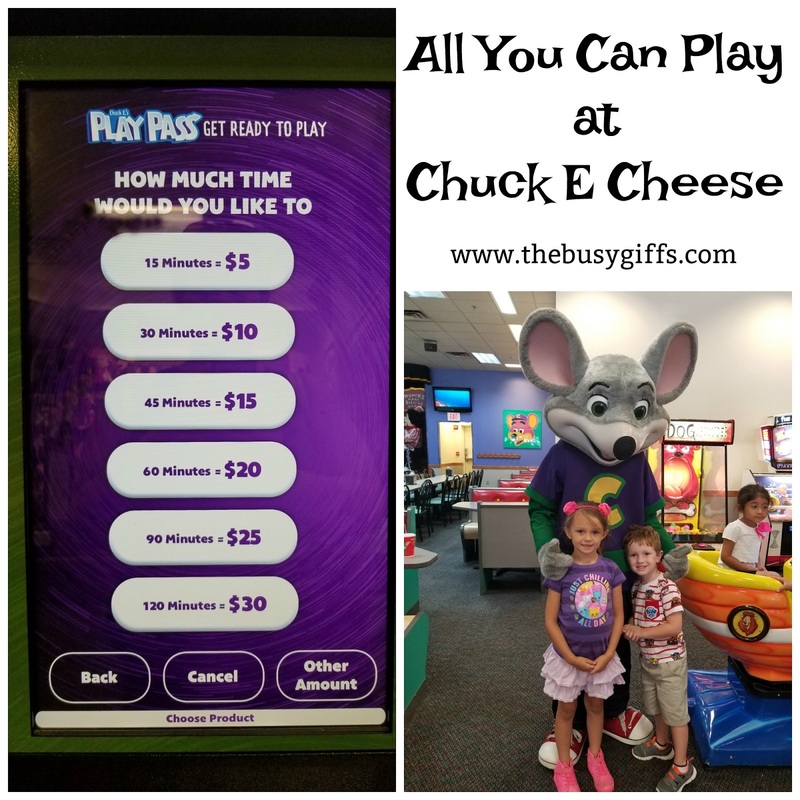 Chuck E Cheese just rolled out their new "All You Can Play" card and guys... I am here for it. First off, I love that Chuck E Cheese does hand stamps for adults and kids, in black light so that the company is sure you're leaving with the right kids... 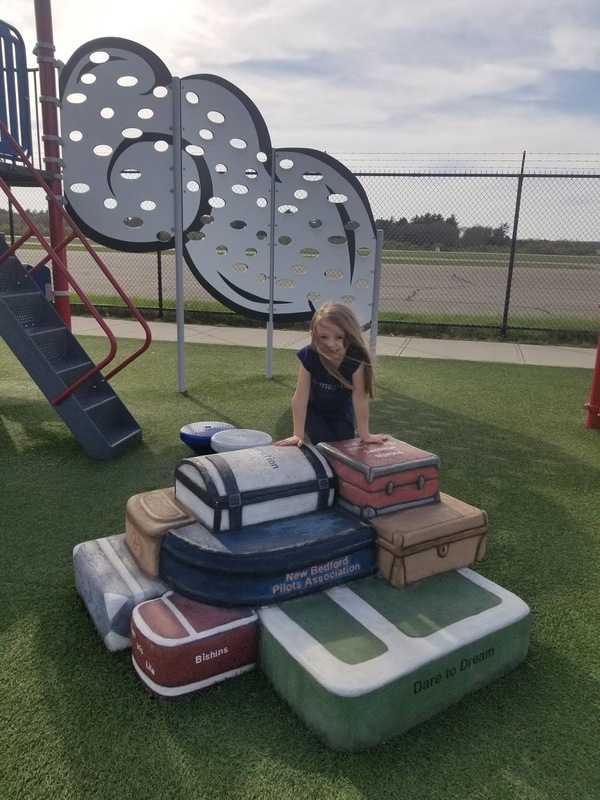 I mean there are some sick people out there, but anyways... Emmalee immediately asked the guy if she could still use her tokens and he offered to put them on her Play Pass card so she would be able to use them in the machines. Every commercial I have seen sayd "Play All You Want for Just $9!" but when we went to use the kiosk, it offered a minute card for just $5! After selecting the amount of time I wanted to purchase (30 minutes), it prompted me asking how many cards I wanted the time split up on (up to 4!). I decided to go back and hit 60 minutes so that both kids had 30 minutes of play time on their card. 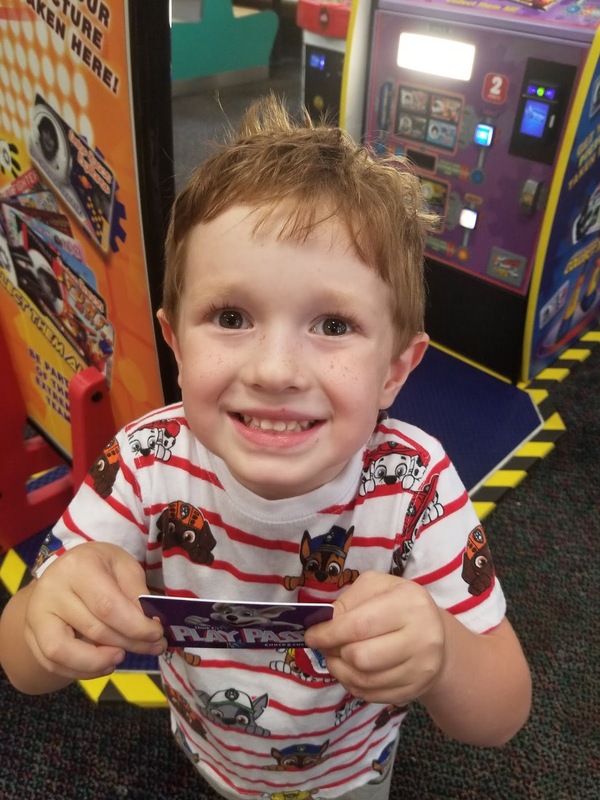 The kiosk wanted $20 for both cards but thanks to Chuck E Cheese's coupons on the website, I was able to get both for only $15.99! It is important to note though that I had to switch over to the counter and speak to an employee to get the discounted price. 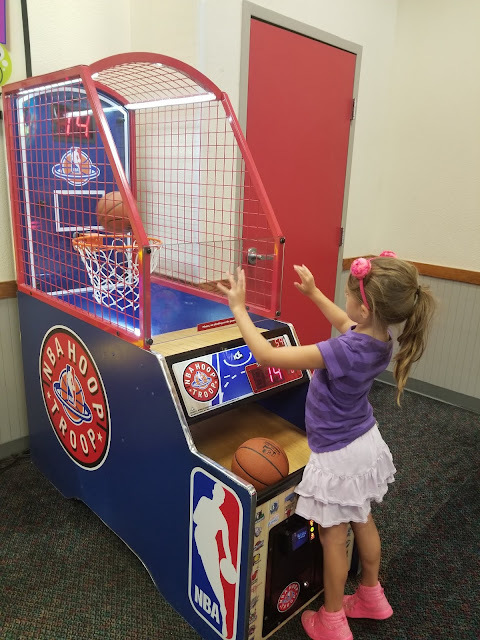 Time starts when the first game gets swiped and each time you swipe the card, it tells you how many minutes you have left so the kids were able to countdown and they moved much faster when the time left was less than 5 minutes! 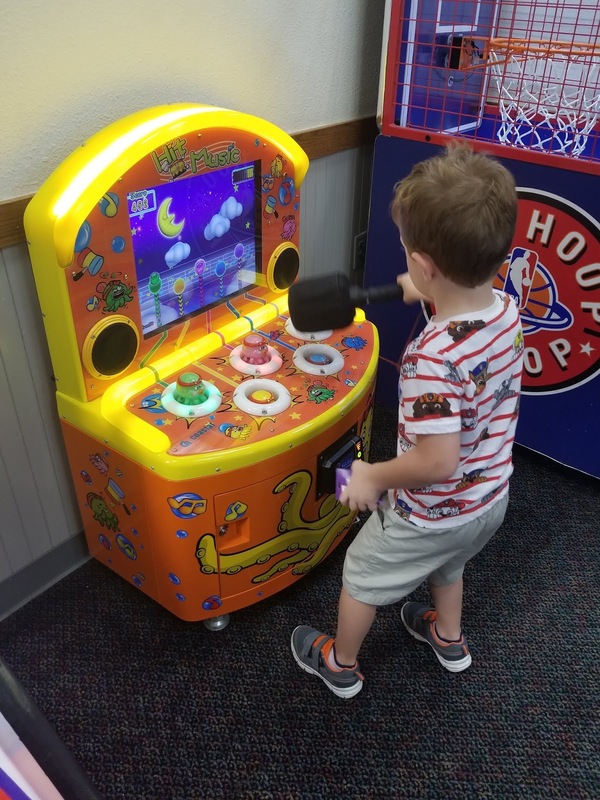 Every game was available for them, including the non-ticket-winning "rides" like the picture with Chuck E in his car, the spinning cocoa cup, and the giant clock "swing". We did not run into any issues with how quickly you could replay games and the kids could not believe how quickly they could win tickets! A feature I love is that you can PAUSE your time card We paused ours twice during our trip. The first was so that Tyler could use the bathroom and the second time was because there was an issue with a game not giving us our tickets. With regular tokens that wouldn't have been an issue, and thanksfully, with the pause button, we didn't lose any precious time! I especially love that Chuck E Cheese kept their traditional way of playing (Play Points) alongside the new plan. Emma's newly converted tokens gave her even more games to play after her time was up. It's a great value for the amount of games the kids got to play and helped me set a time limit for how long we were there. 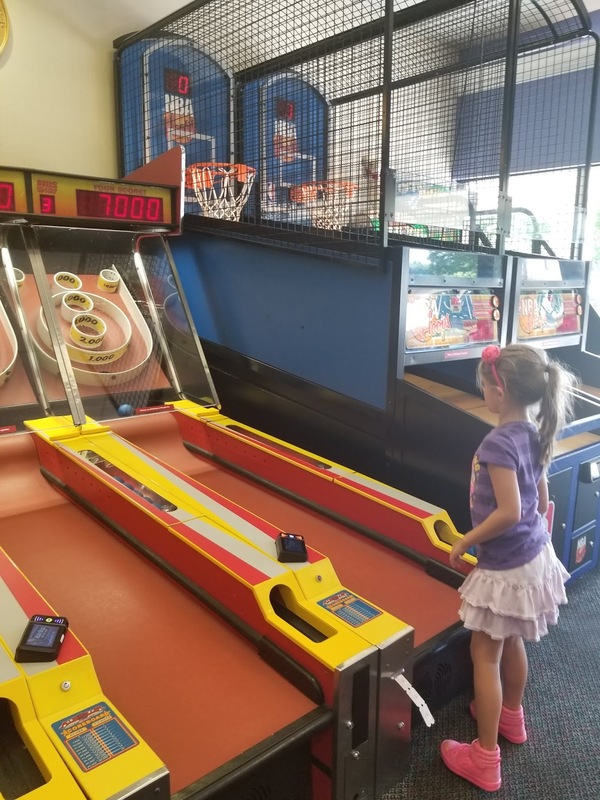 Emmalee is notorious for holding on to her last few tokens, looking for "the perfect game" which drags to an extra 20 minutes of time, so the hard and fast "end time" will be really helpful for some parents. Overall, I really love the "All You Can Play" and know we'll be taking advantage of it again soon! Even in New England, where we eat ice cream in the snow, ice cream is pretty synonymous with summer. 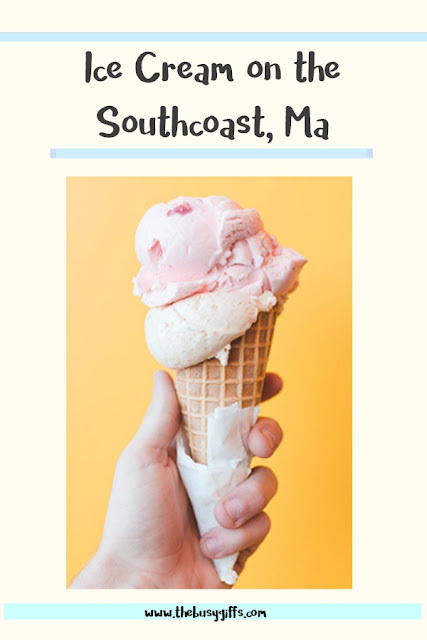 Our favorite place is right down the street at Acushnet Creamery, but we're expanding and trying new places this summer! We happily tried ice cream at 7 different places to let you know what we love! This has always been a favorite. The s'mores ice cream is a go to for the kids and I but David loves their caramel macchiatto. All the ice cream is handmade and delicious! Another townie favorite. They offer lots of homemade ice cream, including alcohol infused ice cream but their payment system is a bit wonky if you use a debit card- it rounds up and you pay a convenience fee and then get the change back. This is one of the kid's favorite places, but mostly because they get lots of toppings with their kid ice creams. Emmalee is especially loving the octopus sundae, complete with gummy worms as tentacles. Always check the reviews on particular restaurants because some locations are seriously slow (I'm looking at you Fairhaven location...). This little shack on the water offers some of the best prices I've seen on ice cream. Plus they have fried food and RICKEYS! I love Rickeys and they are so hard to find. Chicken fingers for $5, sodas for $1, Ice cream starts at $2.50... The Slip is cash only but you'll be more than set with a $10. This is another new one for us! It's a little stand and the prices are great. It's another cash only stand but we spent less than $9 on 2 kid ice creams and a raspberry lime rickey. This is a big winner because a. they have raspberry lime rickeys and b. it's directly across the street from the ocean and the hurricane barrier in New Bedford which makes for a super picturesque view. In addition to ice cream, Kool Kone has amazing food. I love their onion rings! This is great walk up counter, but they have a dining room as well. There's a very small mini golf set up on the lot, but I've never seen anyone using it. If you need a quick ice cream treat but don't want to spend too much, check out your local Dollar Tree. My absolute favorite strawberry bars are sold there and are only $1 each, compared to the $2.50 price tag from the ice cream man! What southcoast ice cream stands did I miss? Which is your favorite? 9 Drive-cations in New England! Call it a stay-cation if you want, but I call them drive-cations since they are all within driving distance and can be done in 1 day, or take up a whole weekend! Here's a few of my favorite places for weekends sort of away in New England. New York City is one of our favorite places to go. Between American Girl, Dö, Rockefeller Plaza, and Times Square, you could stay busy for days. 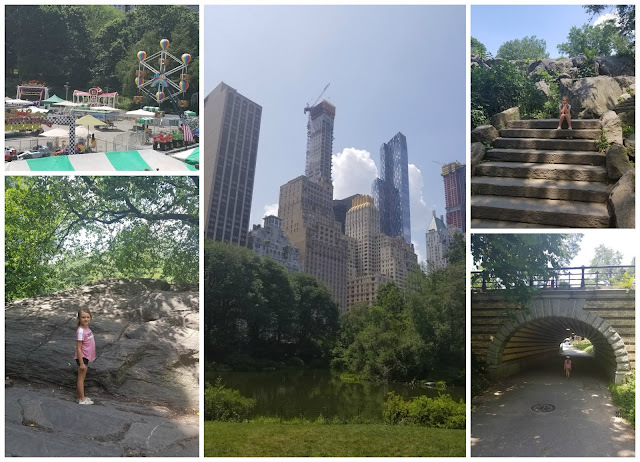 Add in a trip to Central Park (and a run by Laduree for some macarons and Lilly Pulitzer) to see the castle and the sculptures, and again, you could be there for days. Make sure you grab a seat hot dog and check out the well known spots like the Statue of Liberty and Ground Zero. If you are feeling especially adventurous, a walk across the Brooklyn Bridge is an amazing way to view the city skyline! Growing up, we always went to Maine. 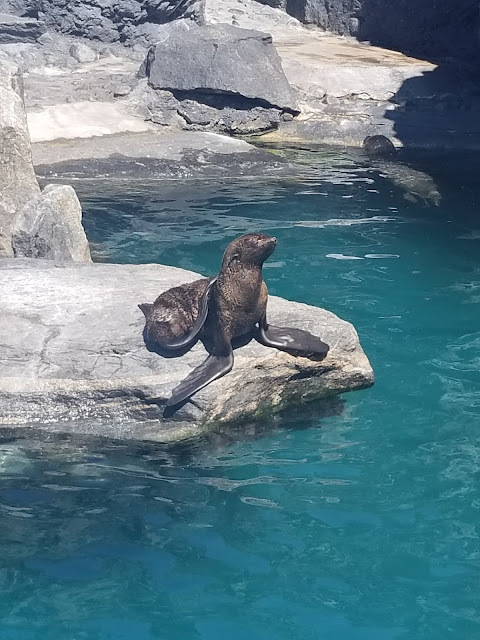 If spending the day on gorgeous Old Orchard Beach isn't enough, you could check out Funtown Splashtown, York's Wild Kingdom, Aquaboggan. We especially love Pirate's Cove mini golf and Palace Playland. For something slower, a walk along the pier to find salt water taffy and soft serve works too! Conway is one of those places we can go to every year. Although we could spend the day exploring the Kancamagus Highway, we also love spending the day at Story Land or Santa's Village, if you don't mind a drive. Kahuna Laguna looks like so much fun and is in the perfect location to access all the other fun locations!The Bretton Wood Canopy Tours look amazing and the Conway Scenic Railroad has always been something we love. Of course, be sure to stop at Zeb's for penny candy before you head home! 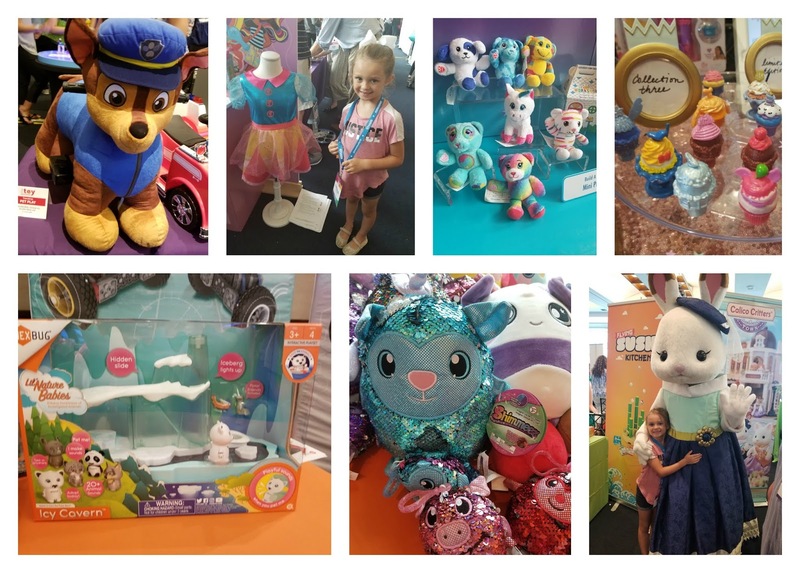 I feel a little spoiled growing up here but a few favorites include The Children's Museum and shopping at Mashpee Commons, which of course includes Cupcake Charlies and Lilly Pulitzer. If you want to venture farther you could check out Pirate's Cove Mini-golf or the Cape Cod Potato Chip Factory. We especially love P-Town all the way at the tip of the Cape! If you want a water park, be sure to stay at The Cape Codder or visit the Cape Cod Inflatable Park. We're actually heading to Mystic this month for a dance competition, but have so many other fun things planned as well! We may visit Ocean Beach Park for some fried dough or Alice in the Village for macarons. Other favorites are the Dinosaur Place and the Southeastern Children's Museum. Mistick Village is a great place to wander around, but the Mystic Aquarium and Mystic Pizza are probably the most well known attractions. I'll admit I don't venture out to the western part of the state often, but it really is an overlooked location. If you stay in springfield for a weekend, you could easily visit the Dr Seuss Museum, Eric Carle Museum, or the Basketball Hall of Fame. 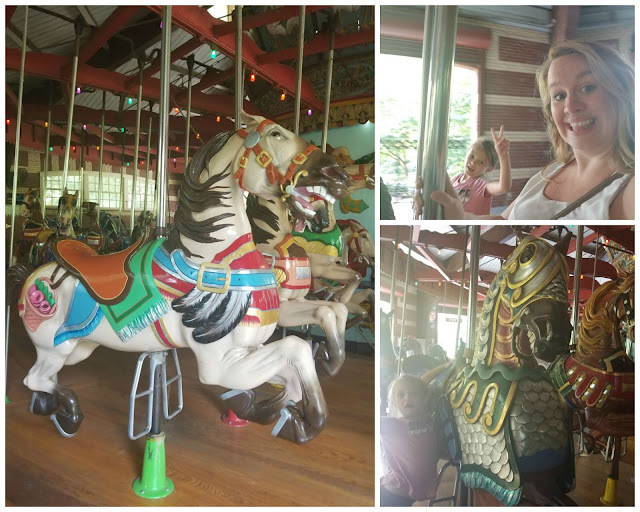 The Zoo in Forest Park and the Holyoke Merry Go Round offer even more easy fun! There's so much to do in Boston. Grab dinner in the North End, visit the penguins at the New England Aquarium, head over to the Children's Museum, or head to the Museum of Science and take a ride on the amphibious Duck Boats. A little more relaxed (or adventurous) is the Freedom Trail as well as all the old gravestones and famous buildings. 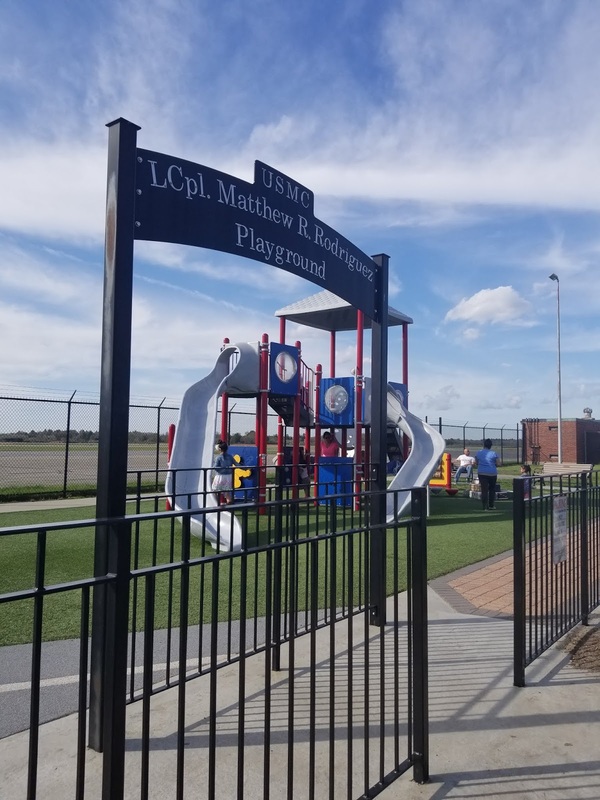 Other ventures include the Charles River, the local zoo and playgrounds, or any of the area splashpads. It goes without saying you'll need to order a lobster roll and adding a dirty banana from Nancy's is a great way to kick off a long weekend! Another great spot for a drink is Bad Martha Farmer's Brewery. While the island won't have as many "attractions" you can spend some time at Island Alpaca or the Carousel. However, the Vineyard is more for checking out the scenery-- the gingerbread cottages, the beaches, and the lighthouses, and if you're feeling up to it- check out Chappaquidick and learn about that infamous bridge or take a jump from the Jaw's Bridge! All of these trips can be as expensive or inexpensive as you make it, depending on whether you check out all the local amusements or spend the day taking advantage of free beaches and state parks. These are a few of our favorite places and while we've already visited a few this summer, we still have time to visit some more! Where's your favorite "drivable" vacation spot? We're always looking for great playgrounds and we stumbled on a small, but really fun playground. 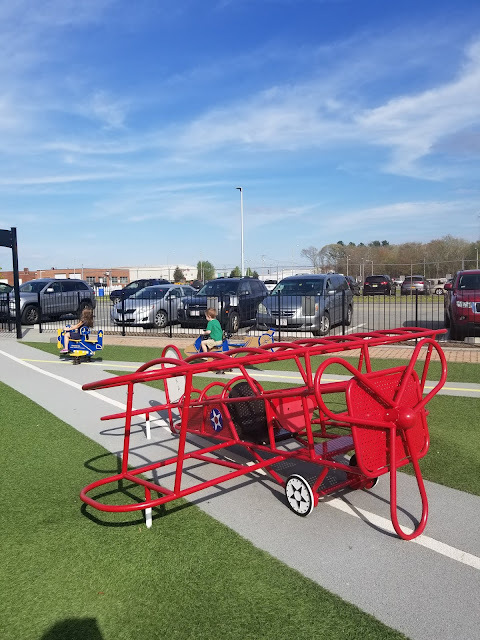 most of our favorite playgrounds are huge, sprawling places with lots of things to do, but sometimes it's nice to have a smaller playground where I can see the kids wherever they are and sit and relax for a bit. 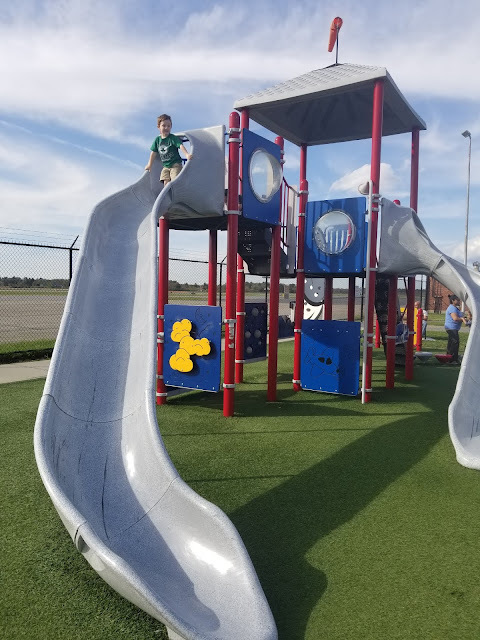 The playground is located at the New Bedford Airport (1569 Airport Rd, New Bedford, MA 02746) and is mostly fenced in. 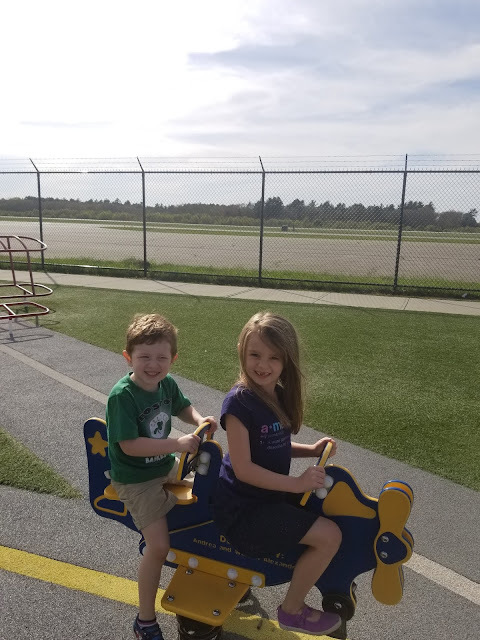 The kids love that it butts right up to the airport runways and they can watch the airplanes as they play. 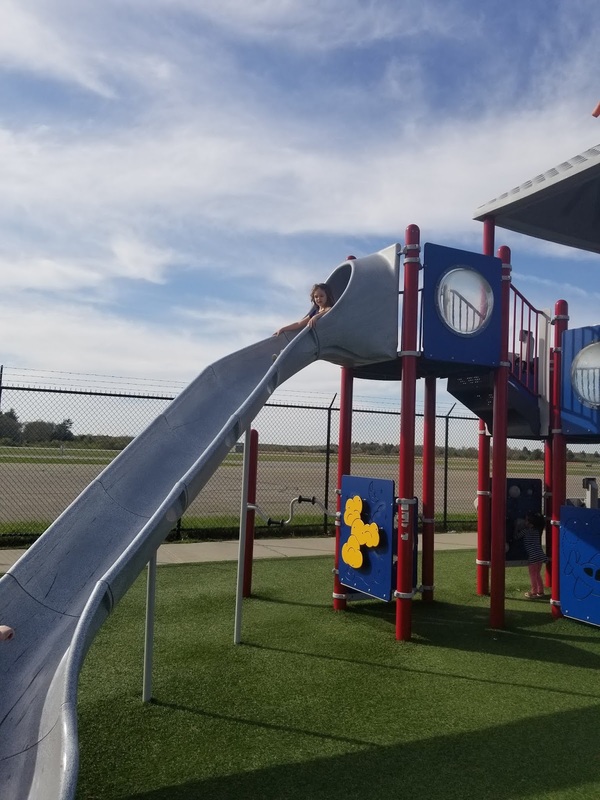 It's such a fun place to spend an hour-- what other playgrounds do you love?